Religion is one of the most-ignored topics when it comes to Steampunk, which is surprising given how important religion was in Victorian England. Even the hot-button issues of race and gender are confronted with a greater awareness than religion. Christmas would seem to be the perfect jumping-on point for a discussion of religion and Steampunk, because Christmas is one of the least-religious of the Christian holidays due to its massive commercialization. Jesus' own birthday has essentially been stolen from him by a fat man in a red suit, and guess what? We have the Victorians to blame for it. Do you think the complaints of Christmas's commercialization are new? Hardly! 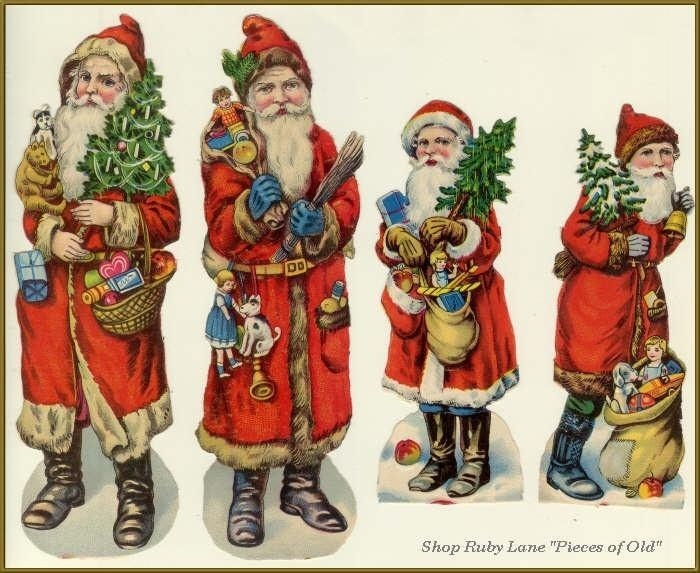 As early as the 1850's people were complaining that Christmas was being ruined by gift-giving and shopping, largely due to the 1822 poem by Clement Clarke Moore, "A Visit From St. Nicholas" (also known as "Twas The Night Before Christmas"). This poem was so popular that it almost single-handedly spread the modern practice of Christmas gift-giving to the world. I should make something clear before I go on any further: the way Christmas is celebrated has changed many times over the years, from Roman times to the present. Gift-giving was sometimes a part of this tradition, and sometimes not. So while the Victorians aren't responsible for inventing gift-giving on Christmas, they did popularize it to a level never before seen. 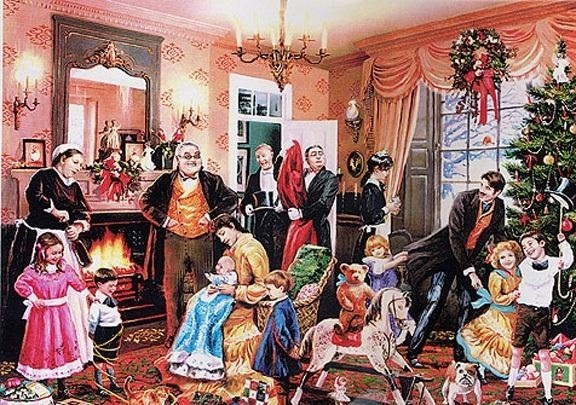 Additionally, the way we celebrate Christmas has remained largely unchanged since the Victorian era, which means that the Victorians are responsible for our modern traditions. Another important figure in the evolution of Christmas is Charles Dickens, with his 1843 story, "A Christmas Carol". 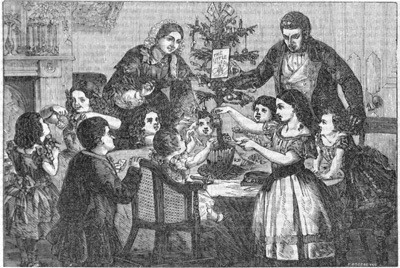 While it seems very traditional now, at the time it was rather revolutionary as it placed the emphasis of Christmas on the family rather than on the church. Before "A Christmas Carol", Christmas was celebrated by going to mass and having a church service. However, the story proved to be so incredibly popular that it literally helped to change the way Christmas was celebrated. Lastly, I want to mention Thomas Nast, the artist responsible for creating the modern image of Santa Claus as a fat, bearded man in a red suit. As early as 1863, Nast was drawing Santa as we now think of him, based largely on Moore's famous poem. This one-two-punch combination of Moore's poem and Nast's illustration more or less kicked Jesus out of the running for the Big Man of Christmas. Despite the change of focus from Jesus to Santa and church to family, Christmas was more popular than ever before. Interestingly, even when Christmas was enjoying a massive surge of popularity, the 19th century also saw the birth of atheism in the English language. During this time, the first atheist was elected to the British parliament, and Friedrich Nietzsche declared that "God is dead", though the two events weren't directly related. They were indirectly related, however, because as our understanding of the world increased exponentially, many found that they didn't need religion in their lives anymore. At the time, the religion/science dichotomy didn't exist as we now think of it, as though being religious must interfere with scientific progress. 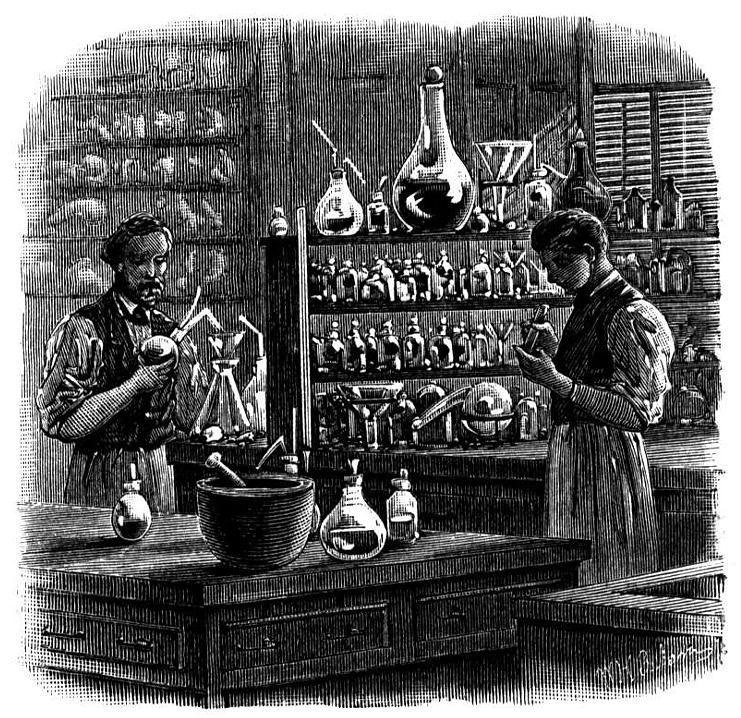 Many of the great scientists of the Victorian era were, in fact, quite religious, including (but not limited to) Michael Faraday, Charles Babbage, Gregor Mendel, Louis Pasteur, and Lord Kelvin. With all of this really interesting stuff going on in the Victorian era, why is religion so often ignored in Steampunk? Clearly, this is a function of our current attitude toward religion. I've referred in the past to Steampunk as a history buffet, at which people pick and choose the items they like. As such, religion is a particularly unpalatable item on the menu; the only outward signs of religion that I see regularly in Steampunk are the crosses bourne by Steampunk vampire hunters. It's kind of a shame that such a rich religious history is being ignored because it's uncomfortable or inconvenient to a modern audience, but you may notice that even the vast majority of Steampunk novels, television shows, films, etc. all skirt widely around the idea of religion. Christmas, however, would make an excellent beachhead into inclusions of religion in Steampunk worlds, considering that even in the Victorian era, Christmas was already becoming commercialized. Since it's a relatively "innocuous" holiday, non-believers may be more comfortable with celebrating Christmas in their Steampunk than, say, Lent. As both an atheist and a scholar, I find it nearly impossible to separate religion from history, especially in Victorian England when religious belief was tied so heavily to the ideas associated with Modernism (not to be confused with Post-Modernism, which we are now in). I think that ignoring the religious portion of Victorian life is doing a disservice to whole swathes of their society, and preventing us from looking at that time with a full understanding of what it was like. In other words, we need a little more Christmas in our Steampunk! Very true, Jeff. When I was in grad school, one of my professors was a specialist on Jews in the Victorian era. It was pretty fascinating stuff! Jeff, BBC did a wonderful series based on the "Daniel Deronda" novel by George Eliot, first published in 1876. It was the last novel she completed and the only one set in the contemporary Victorian society. it addresses that very issue of Judaism in England at the time. Highly recommended! I've seen Daniel Deronda (on Netflix) and I highly recommend it.